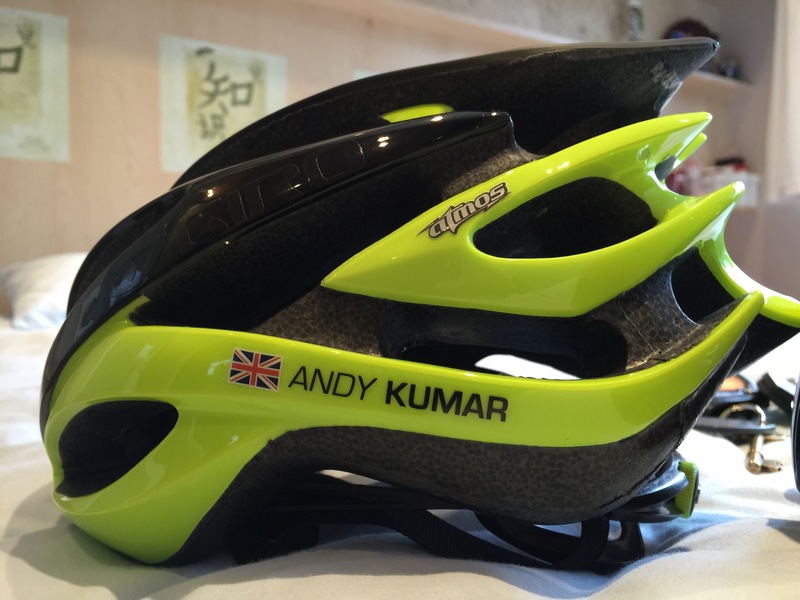 After experiencing the transition periods between the run-bike-run phases during my first Duathlon in September, I have given some consideration to how best personalise my gear. 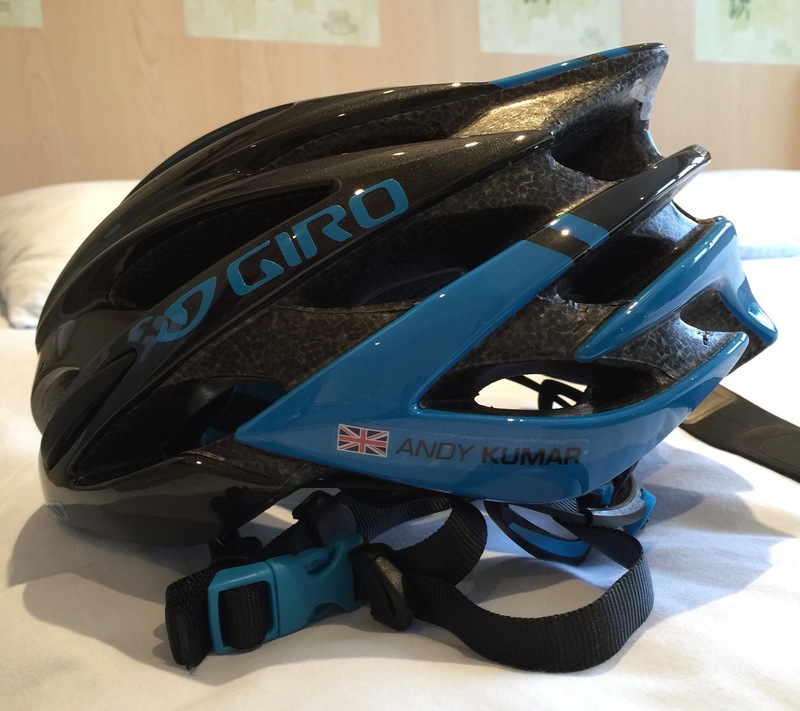 Perhaps one of the easiest, and most important, pieces of cycling equipment to personalise is your helmet. I came across some personalised name decals on eBay, and managed to pick-up a pack of eight for £6.99, which seemed pretty reasonable. They were easy enough to apply, and appear to have stuck down well. 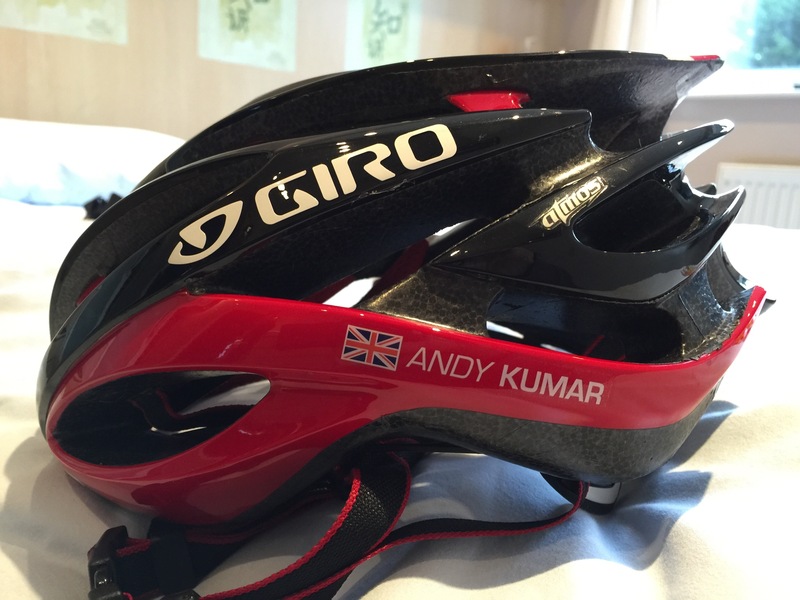 They look great on my helmets, and I will probably be looking into getting some form of personalisation decals for my road bikes, too. Seeing how busy transition can be during duathlons (no experience of triathlons), I think it is a worthwhile investment, as items can definitely go missing, despite having an event race number. The addition of a country flag to the decal is also a great feature, particularly if competing abroad. All-in-all, I highly recommend these personalisation decals to my fellow road biking buddies. I think it was typo_lee. Took around 4 days for delivery. I got 6 in white, 2 in black. Still have 5 white left. Am possible looking at getting one for my bike. There are bike specific decals, too. Typo_lee here. They look great on your helmet. Glad you approve of the decals!! Thanks for the great review. We always like to please.